graduated from Cal State Fullerton and then USC Dental School. 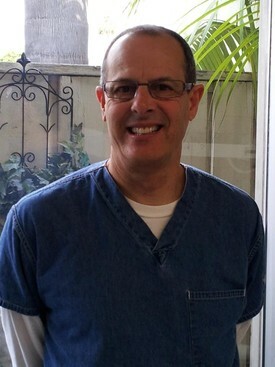 He has been practicing general dentistry in the city of Orange for over 20 years. Dr. Campana's goal has always been to provide quality dentistry in a very friendly, relaxed atmosphere. He is a member of the American Dental Association and the Orange County Dental Society. In his spare time he enjoys skiing, hiking, and playing bass in blues rock bands. He was a member of Orange County's all Dentist band "Open Wide", and plays with the Orange County Blues Society.